For the last two decades, a small group of Pittsburghers have had a unique window into the world, witnessing its great struggles, shifts, and achievements by sending volunteers to work in 13 countries on a slew of development projects. The 5-person team, working out of 900 square feet of space on Smithfield Street, call themselves Amizade Global Service-Learning, and have sent thousands of Pittsburghers to assist on clean water projects in Tanzania, education projects in Bolivia, civic engagement projects in Jamaica and much more. Unfortunately, in nearly twenty years’ time, the staff at Amizade has never seen a winning Pirates season. They’ve rafted the Zambezi, they’ve hiked the Amazon, they’ve climbed the Great Wall, built schools, parks, and water collection systems, but they’ve never experienced 82 wins in a single season. The last two decades – the Pirates Dark Ages – have ushered in a profound and arguably unprecedented era of global change. In Brazil, Amizade’s community has rapidly developed, so much so that 10% of Amizade’s budget consists of hosting visitors from the Amazon in Pittsburgh. Brazil, of course, is poised to host both the World Cup and the Olympics. In Ghana, Amizade’s community now has paved roads, running water, electricity, and a 4G network. Ghana is considered to be a middle income country, and has a very bright future. Amizade regularly video chats with its staff in Tanzania, and has little problems accessing ATM machines. Tanzania currently has an incredible 7% estimated GDP growth rate. And despite some recent rioting, the peace and reconciliation process in Belfast is real and enduring. Weeks after the Pirates downfall began, a baseball team outside of the United States– the Toronto Blue Jays – won the World Series. Since then, east and west, north and south all seem to have become a bit fuzzier. China got the internet and miraculously lifted around 600 million people out of poverty. 600 million – all while the Pirates were losing. 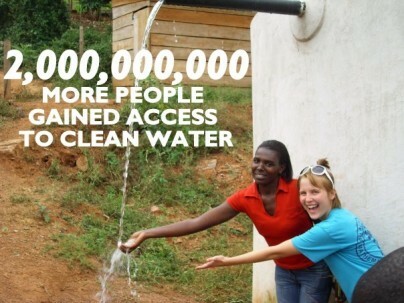 Two billion (yes, billion with a “b”) more people gained access to clean water. Wars peaked, then declined in Africa, where you now find an astounding 7 of the world’s 10 fastest growing economies. Meanwhile, Washington, DC’s AIDS epidemic grew to a higher rate than 21 African countries. The Euro was created and almost destroyed. The global economy grew rapidly, crashed badly, and is rebuilding again. We started cloning and modifying DNA. We created Google and Facebook; smartphones and tablets; vacuum cleaner robots and artificial hearts. The wealthiest person in the world cultivated his fortune in Mexico, and Moscow grew to have the world’s most billionaires. If that weren’t enough of a wakeup call for the Pirates, the world literally got warmer. Since 1992, the world has gotten faster, smaller, and significantly more connected. We’ve seen increases in global literacy, access to water, and life expectancy. We’ve experienced a communication revolution, a technology revolution, and more recently, a series of very powerful people-powered revolutions. The world is by many indicators actually a smarter, safer, and more loving place than it was when back then. And while it’s not always clear, progress is happening every day, in every community, slowly but surely, “bending towards justice.” Using the tools developed during the Pirates Dark Ages, Amizade has witnessed the global improvements through its Skype-powered window to the world, and through its more literal window looking out at the ever-changing City of Pittsburgh. It’s hardly the same planet as it was in 1992 – perhaps almost unrecognizable to those who’ve been hibernating in their Doug Drabek jerseys – and we’re better off for it. We’ve come so far, and just imagine how beautiful this planet will be now that the Buccos are back. 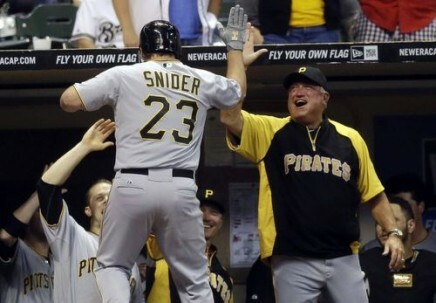 What else has happened in the world while the Pirates were losing? Check out TheWorldSince92.tumblr.com and submit your own #TheWorldSince92.